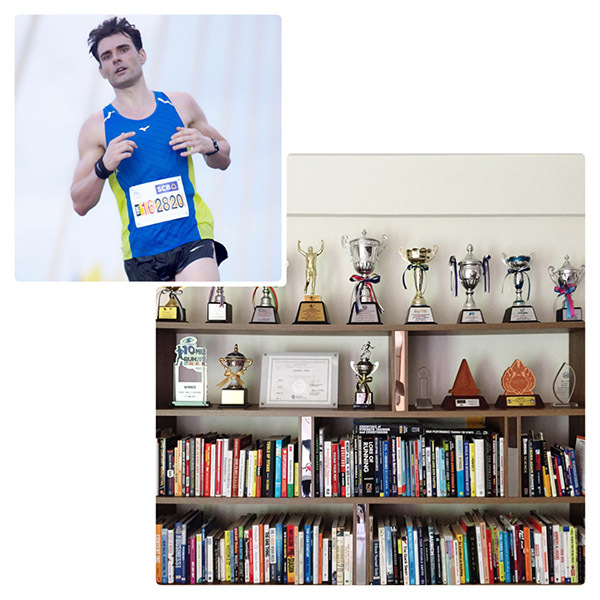 As competitive amateur runners, we don’t have the time to train 2 – 3 times a day, nor can we afford to sleep 10 hours and nap in between training sessions – as professionals do. For us, it’s about being effective with the limited time we can spend on training, being able to recover from our training sessions and keeping stress at manageable levels. In this article, I make a case for low-mileage running. Elite athletes run upwards of 120 miles (200 km) per week, even for the 5.000m and 10.000m events. That’s what it takes to have a shot at the Olympics or get podium time at international marathons. But not only is rare talent necessary to be able to recover from 2 – 3 running sessions on a daily basis, it also rules out a full-time job and much of social life. That’s not an option for most of us. But here’s the good news: Training mileage beyond 40 miles (64 km) per week only leads to marginal gains in running performance. In other words, Mo Farah would be perfectly able to run at least a 31min 10K on 40 miles a week. Now that doesn’t mean that you and I have the genetics of Farah but it does mean that competitive times at road races are possible on much lower training volumes. Obviously, that also depends on your event. A 5K runner gets away with less weekly mileage than a marathoner. Longer events require a great deal of muscular fatigue resistance which can only be achieved with extensive long runs. 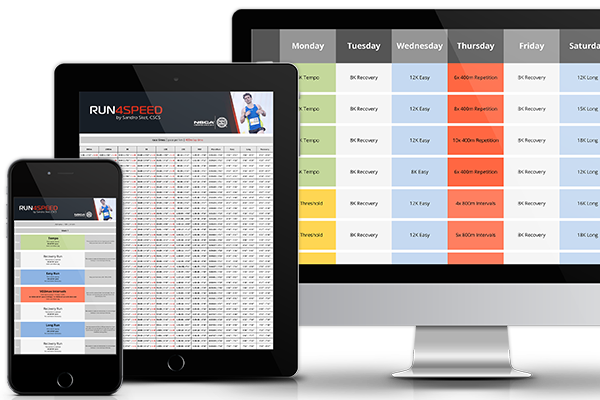 What can be ruled out for all competitive runners is a 3-day running week. That’s fine for health & fitness but it won’t be enough for competitive running. In the following paragraphs, I’ll give an example of a highly-effective 4-day training week, which can be extended to a 6-day training week with 2 additional easy runs. Although 2 of these runs feature intensities at or above your lactate threshold, this will only make up 10 – 30% of your total mileage. The exact ratio depends on your event and the current training cycle you are in. Monday #1: Assuming Sunday is a rest day, Monday is a good day to do something of quality. Early in your training cycle, these are high-end aerobic runs (40 – 60min at marathon pace), which then proceed to threshold runs (20 – 30min at 15K pace), and culminate in race-specific paces. These are efforts at 5K-pace, 10K-pace, HM-pace, and M-pace, according to your current race distance. Wednesday #2: Wednesday is an easy run of 40 – 60min to add to your overall mileage. 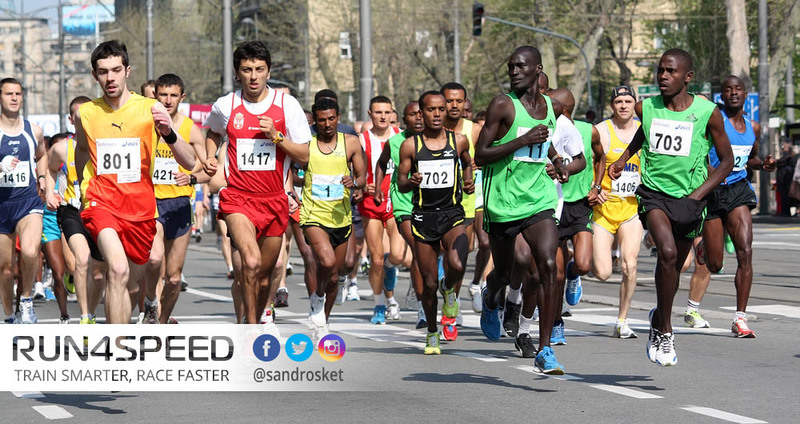 This is important for 2 reasons: First, since 2 days a week are efforts at or above your lactate threshold to make you faster, this run ensures balance. 70 – 80% of your weekly mileage has to be at an aerobic pace. Second, it sets the basis for solid long runs which shouldn’t exceed 40% of total mileage. Thursday #3: This day is all about speed. With your last quality session on Monday, your fast-twitch muscle fibers are well rested for a high-performance track session or VO2max intervals. Here, the training cycle starts with supramaximal repetitions at 800m pace (e.g. 8 – 12x 200s) to 1500m pace (e.g. 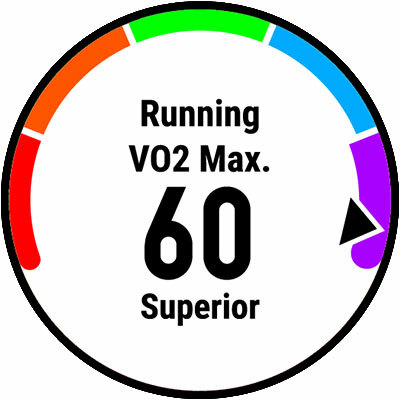 6 – 8x 400m) and then transitions to VO2max intervals at 3K – 10K pace with 3 – 7 min in duration. Saturday #4: Long runs put the tiger in the cat, or so they say. Even 5K competitors benefit from runs that exceed 60min, while most benefits are capitalized on long runs of 60 – 90 min on a regular basis. For marathoners, these can be as long as 150min during their peak training week. Add a fast-finish to your long runs every now and then or even make them progression runs. In summary: While a 4-day training week won’t qualify you for the Olympic trials, it’s enough to be a front-pack runner – even having a shot at awards in smaller races. The risk of injury and burnout is significantly lower than on high-mileage programs and leaves 3 days for cross-training or rest. All that said, there is a point where more running days and higher mileage are necessary for further improvements.